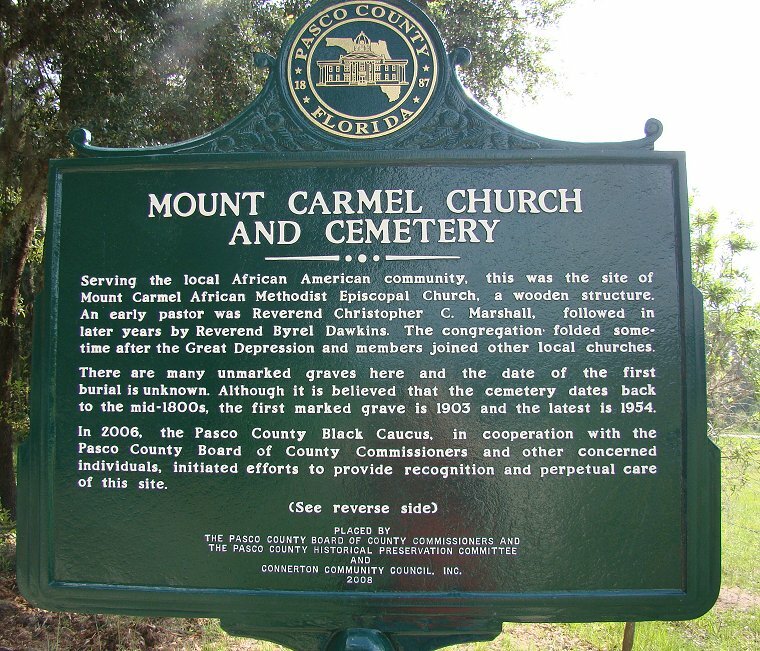 MOUNT CARMEL CHURCH AND CEMETERY HISTORICAL MARKER. This marker, which was dedicated on June 20, 2009, is situated on Ehren Cutoff, about 2 miles north of the intersection with U. S. 41. An image of the opposite side of this marker is here.